Today I was reminiscing on the things I really missed in foreign countries that I just cannot find in America. There were things I really missed about America when I was abroad, but I have been back awhile and am now taking them for granted. So, my mind longs for these things and in case there are any who can bring them about let me list them here. Please feel free to add comments if you can think of any others. – The toilets in Japan are far superior to those in the USA which basically have not changed in the past 100 years. b. Bidet – Water to wash and can control the stream – Why don’t we have this!!! This is so civilized!! c. Running water sound when you sit- This is so people cannot hear you do your business! – In Japan everyone takes their shoes off when entering a home. I have never understood why we do not do this in America. We walk around all day long outside but then walk on our beautiful carpets with our shoes that have stepped on who knows what outside. Ever since I came back from Japan I simply cannot wear my shoes inside the house. – In Tokyo, for the most part, I simply needed my green Suica Card nestled inside my wallet and I would tap my wallet on the sensor to enter the metro (or bus) and again on the way out. I didn’t need any complex agreements with any bank or financing agency either. To recharge I simply stuck it in the machine, added money and the transaction was finished! Contrast that with my first experience in San Francisco. 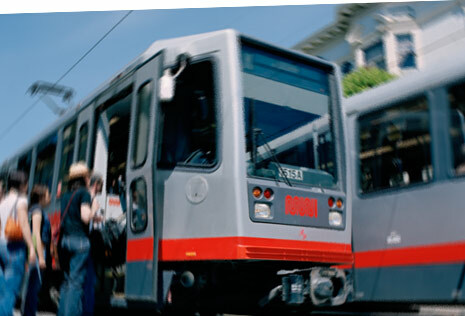 The Muni requires exact change and bus operators do not give change. Therefore, you need to have exactly $1.50 to ride the bus!! This was very frustrating as from my time abroad I had it built up in my mind that the USA was the most technologically superior country on the planet. The muni experience crushed that fantasy pretty quick. 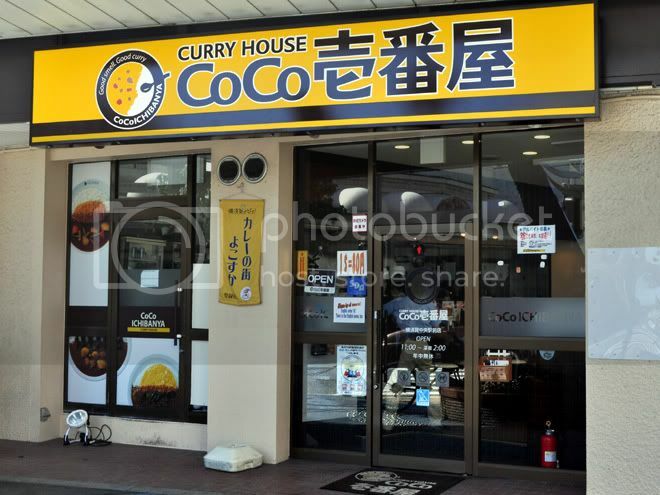 – This is the best curry restaurant in the world. Someone please start a franchise here in the USA and I will be your biggest patron. – In America we do not have a siesta. This is one aspect we really should have borrowed from southern Europe in that one gets to take a nap in the middle of the day! We start out as kids in Kindergarten with nap time but unfortunately this privilege is soon ripped away from us. Anyway, we work hard to get money to buy stuff. Until recently the plan was simply to buy as much “stuff” as possible then retire. I thoroughly believe that the path to happiness is not in how much stuff is acquired but rather how enjoyable life is through experiences, friends and family. I’m also pretty certain that many people like sleep and what better way to refresh yourself and take care of your health than by taking a nice stress-free nap in the middle of the day! If we think about “stuff” vs. sleep let us also consider the enjoyment we obtain from spending our time doing these activities. If we accumulate a massive amount of stuff, we have to devote time to using the items we have purchased. Now, if we ask ourselves if doing these activities are more enjoyable than sleep I think we might not be able to come to an easy conclusion. – By this, I do not mean a sterile Starbucks. Starbucks sells a cup of sugary syrup and everyone is a stranger in Starbucks. I’m talking about a European style café where you can order a wonderful, plain espresso and actually meet with your neighbors to discuss the issues of the day. Starbucks is killing this tradition even in Europe and I find that a shame. – I highly doubt we would be able to replicate this in America. Not that we cannot replicate a company outing mind you, but rather the sheer enthusiasm and joy I found among the young workforce during their outings. These young people were so happy to be able to go on a vacation on the company dime that I saw nothing but smiles from just about all of them. At least once a year Vietnamese companies organize an outing to fun places like the beach. They all pile in a bus, wear the same caps and shirts and even sing songs on the way there! I had the privilege to participate in one of these and they asked us to get up in front of the bus and sing a song. Unfortunately, not being used to these things I couldn’t think of a single song I knew by heart!! I guess I was just a bit stunned at the request because surely I could have pulled out “Puff the Magic Dragon” or at least some other kid’s song but my mind was a blank. Even if I had mangled the lyrics I’m sure nobody would have noticed but I had nothing. These young people were just so happy to be going with their company on a trip it really warmed my heart. Back here in America I just really think this could not be replicated. And that’s all I have to say about that. – This may sound a bit corny but I have to say that I visited some VERY MEAGER homes in small villages during my time there. In every case, the inhabitants always welcomed me with a smile and offered me something to drink. These people have been through SO MUCH in the past couple decades and I could not understand what made them so cheerful! – In the USA I think our focus has been too much on obtaining money. We get the money, buy a new toy and then realize there are others who have more money and more toys. So we obtain more money and more toys but then look up again and see we still do not have enough. It’s an endless cycle. Perhaps we should all take a lesson from these people in their villages and ask them why they smile so much? Again, I don’t mean to sound cheesy about all this but this is something that really impressed me and is what I took away from my visits to their villages and that is that. – I found in Mexico that extended family is still very important. In the USA we have our small nuclear families, many of which remain close. However, in Mexico I found that the family bond is much greater and still a source of security. There are hugs, kisses and a general sense of closeness I really admired. Even outsiders really feel welcome when visiting a Mexican family if they understand the culture well enough. To further illustrate the point, there is a quote in this movie in which the Greek father uses an analogy to describe the American grooms parents. This is a cultural aspect one can find in Greece, Spain, Italy, Mexico, Philippines and now that I think about it, just about every hot country near the equator. I guess we are just a bit more formal in the USA. Me: So are you going to give your mother a hug? Me: Really, that is sooooo weird!!! Me: But you’re excited right? Me: So are you just going to bow a lot with a big smile?? Wife: *Realizes the cultural difference and laughs until tears come out. – In the USA we have breakfast, lunch and dinner. Where I ask, in the history of the USA did we drop TEA TIME? To be honest, I was never a fan of tea until I dropped into a Chinese tea shop in SF Chinatown. I had more than a few samples and when I came out I was FLYING HIGH!! I honestly didn’t know tea could do that and have switched from a morning coffee to a morning tea. Again, an exaggeration but I ask you in all seriousness, would we not all be better off with a second breakfast or at least Tea Time? – Yes, I understand we in the USA are hyper–capitaliste but would it not benefit us all to take one month of vacation? Last time I checked, I had one week. Well, that is all I can think of for now. Be sure to add your comments if there is anything you may miss from your experiences abroad. YES to all of those! Especially Tuk Tuks!! Toilets that wash and dry. Ice cold beer and delicious grilled fish…. in train stations! @Reid: I was thinking along that line too, but the current level of manners would leave a huge mess. Places to eat and drink beyond 2am. HOLY SMOKES!! CAn we Put THIS all on the Blog???? Geeze. Oh, BTW, Fried Squid at Baseball Games….